In this whitepaper, we define predictive analytics as the process of using statistics, modeling, data mining and other techniques to analyze current and historic data to predict future events. The models use patterns found in the data to infer the likelihood of something happening in the future. An example of modeling is the credit score which is based on a person’s past payment history. In a marketing context, an example of predictive analytics includes optimizing marketing campaign results. Based on customer’s pattern of purchases contained in their RFM scores (Recency, Frequency, Money) and their response to past campaigns, they are scored using a predictive model as to their likelihood of responding favorably to a future offer. The higher scoring customer are sent the offer thus maximizing the sales revenue based on the given amount of marketing dollars being spent. Predictive analytics does not preclude professional judgment but supplements the decision making process with quantifiable and objective data. 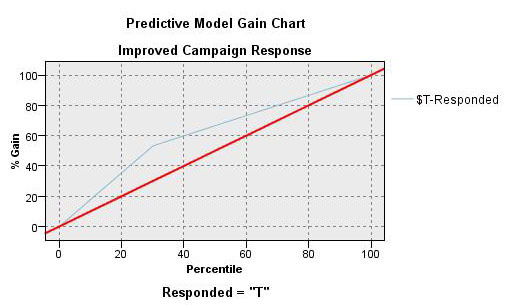 The objective of the article is to explain the use of predictive analytics by demonstrating its use in a marketing campaign solicitation example.